Well, installed a Gobi rack on my JKU looks great, very solid! Can't wait to try it out. Awesome! How was the fitment? Did you have to make any modifications to make it fit? No modifications needed. We did have to modify the a-pillar light mounts. Everything else bolted right together. It's a very well designed rack for sure. Awesome. When you buy something that large and it is shipped, one never knows how the accuracy of everything is. Curious. Is it even possible to put your top down now? How is wind noise? I have Kargo Master's Congo Cage and Safari basket on my JKUR. After just 50 miles I had to get the wind deflector as well because it was waaaay too noisy even with a hardtop. There is wind noise, but it's not crazy. I actually just put a couple pool noodles in the two cross members that touch the top. I don't mind it, I can still talk on the Bluetooth at 70mph. So it's bearable. I would expect there to be zero noise with a hard top. That's nice. I'm considering ditching my light bar because of the noise. Drives me nuts. I got the whistling to stop, but it still loud. 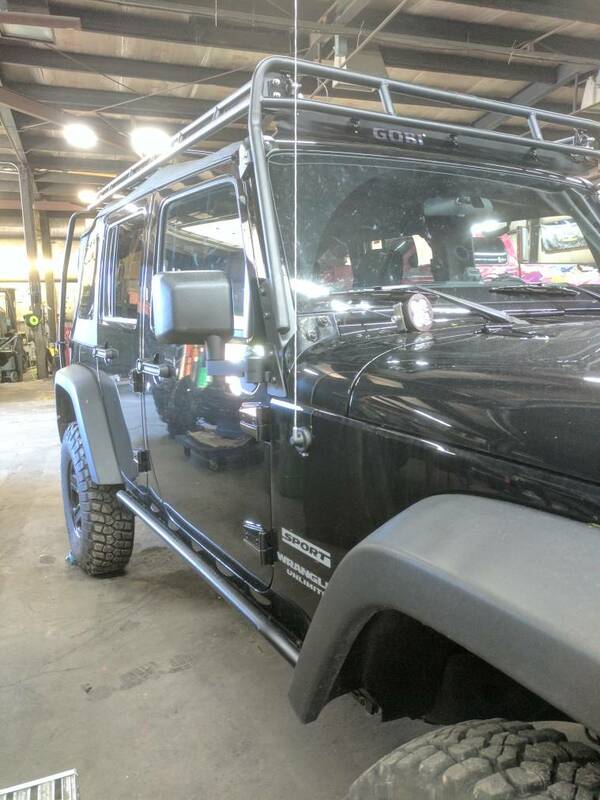 Love the racks and if I did a overland build it would be my first mod. Gobi Rack in action! 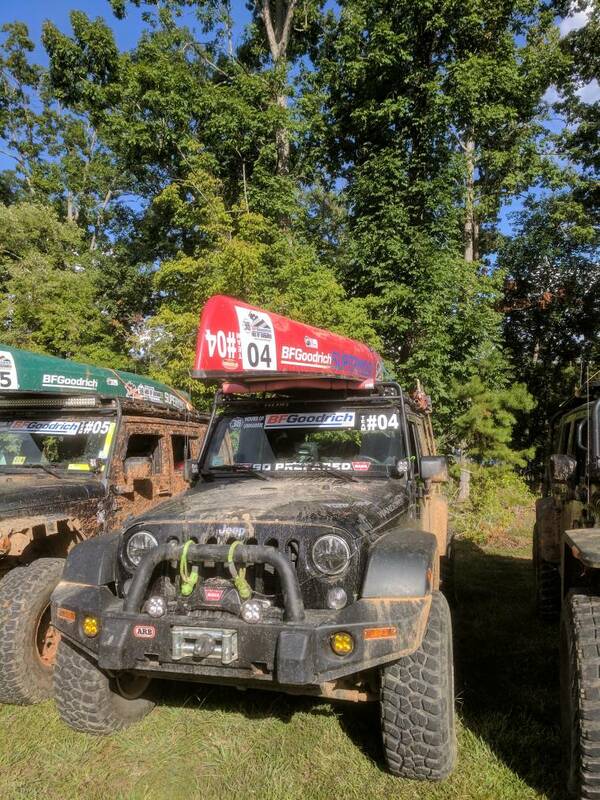 This is from the last 36 Hours of Uwharrie event. That is awesome. How does this event work? I'm assuming this is a race. The Gobi rack is on my wishlist. 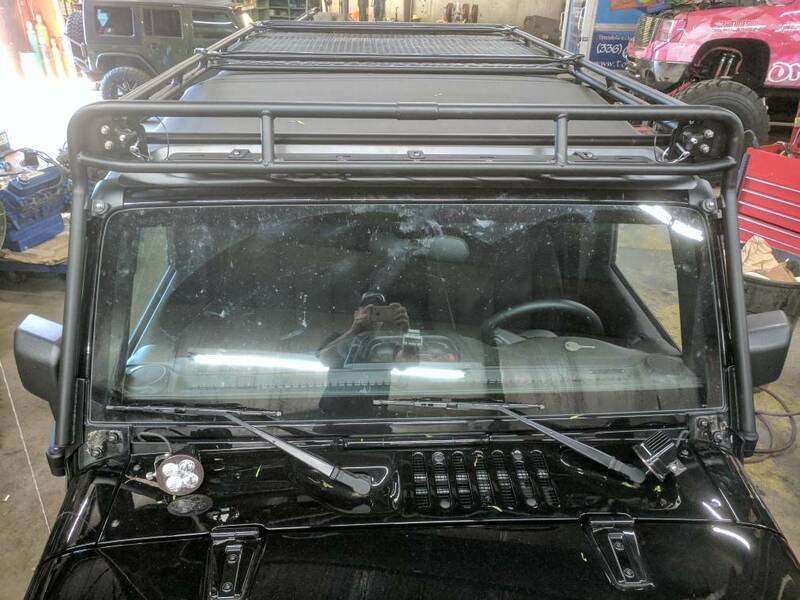 Do you know if the hardtop can still be removed with the rack tilted back or will the rack have to come off to remove the hardtop? 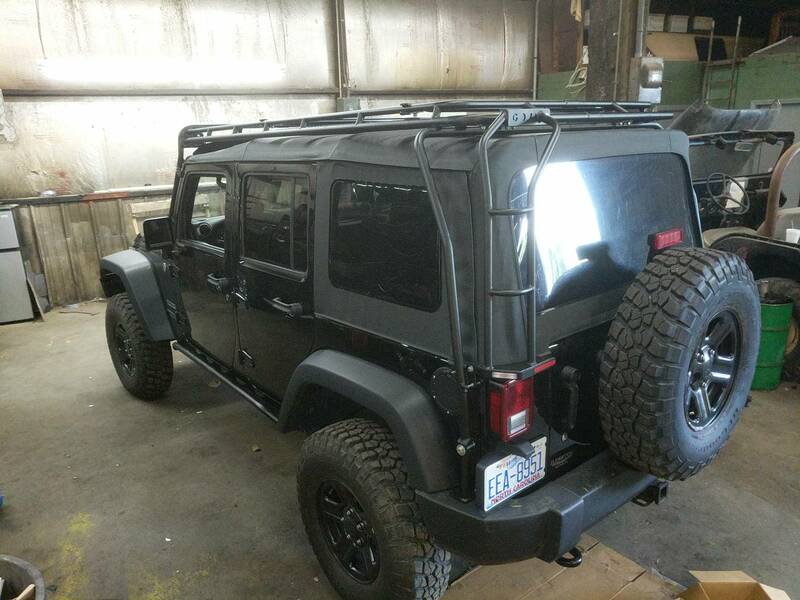 Do you know if the rack allows opening of rear tailgate with a hardtop? It sure does. Zero issues, I am currently looking for a hard top as I type this! Looks great! 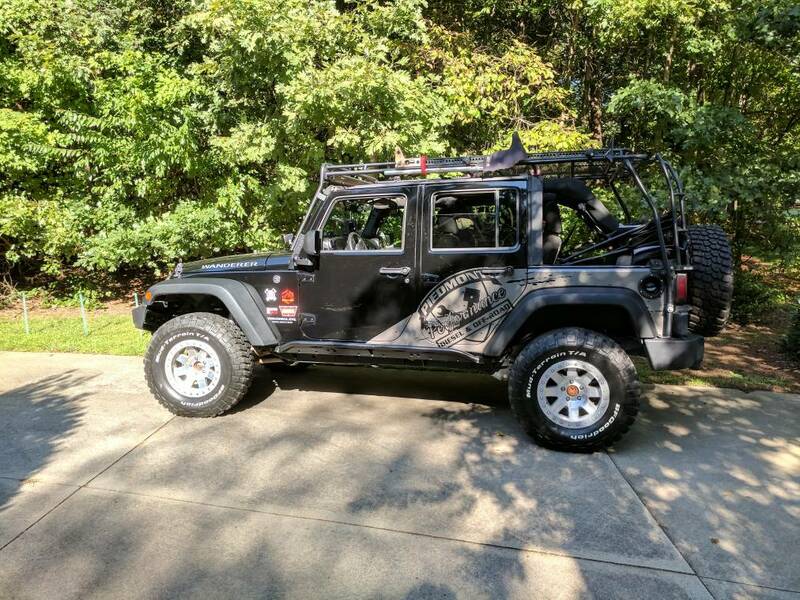 That rack is on my list of things to buy for my Jeep. Thanks for the pictures. It looks great with the soft top. I&#65039; have only seen them on hard tops. How does it look with the top down? Here are a couple I found. Im a big fan of the gobi rack. 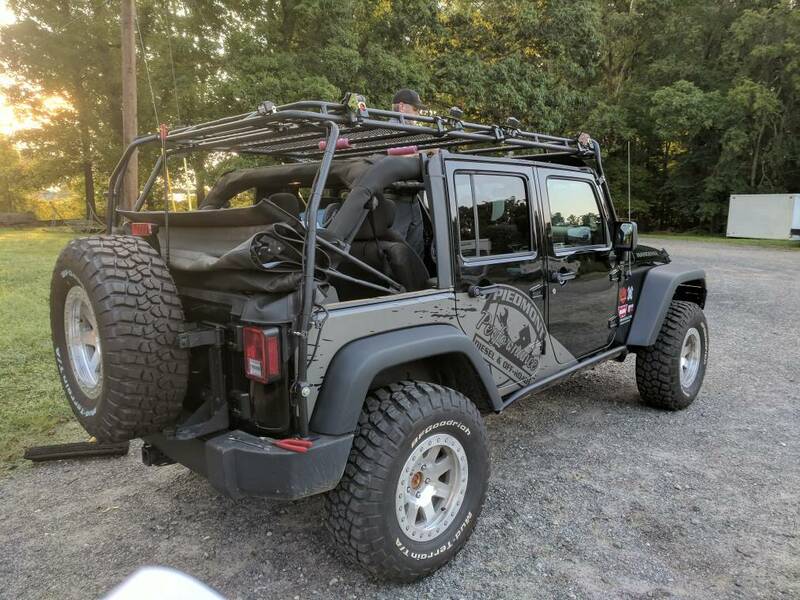 Its been a great addition to the JK for us for camping, hauling, gear, x2 kayaks, etc. My only gripe is the wind deflector, i've had mine installed for about 2 years... every so often something tweaks it and then it harmonics like a SOB lol. It can take a bit to dial it back in to where it doesn't vibrate under normal driving conditions, but the pain is worth it. Just curious how much is the gas mileage affected by the rack?